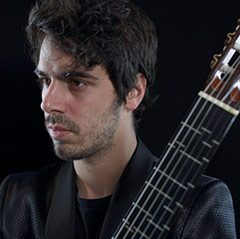 Classical guitarist Mak Grgić (MM ’12, DMA ’16), a graduate certificate candidate at USC Thornton and an alumnus of the school’s Arts Leadership program, will open for k.d. lang during the artist’s Fall tour across the American South. Beginning September 7th, Grgić will perform on lang’s Ingénue Redux Tour in nine cities, closing the tour in Houston, Texas. Grgić’s latest album, MAKrotonal, reinvigorates traditional guitar repertoire with re-fretted instrumentation and Renaissance and Baroque tunings. Grgić will spend the remainder of the Summer performing and presenting masterclasses in Idaho, Slovenia, Germany, China, and Taiwan.